At Clear Voice Telecom it's not about us, it’s about you—how you communicate with your workforce and how your workforce communicates with your business partners. If you are ready to learn more about how hosted phone service can transform your business, then we are ready to listen to your challenges. Prefer e-mail? Complete and submit the contact form provided. Rather chat? 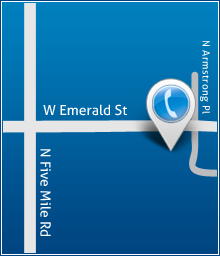 We are a phone company after all, feel free to call us and check out how great our phones sound.